As you will have noticed, technology is slowly finding its way into our homes. You only have to look at the popularlity of Amazon Alexa to see how mainstream the technology is becoming. But, there are systems out there already that embrace what many homes will be like in the near future. I asked Custom Controls to explore these features of the automated home and give us a glimpse of what to expect as the technology becomes more widespread. Arguably, the most important benefit of the home automation system is better security for your property. With automated door locks, your doors can be opened and closed with the touch of your smartphone rather than keys. This is especially good if you are prone to losing your keys! Also, you will quickly realize that having the ability to check the locks from the comfort of your own phone ensures you will always have peace of mind. Maintaining a constant temperature within your home is a great way to save on your utility bills. Plus, gone are the days of feeling too hot or too cold in your home as your home automation system carefully manages the temperature without you having to step in. Many of the systems can tell when somebody is home and automatically reduces energy consumption until you return. When you are leaving your home, the home automation system can easily lock all your doors and turn off any needless lights to ensure you leave the house faster. I know I spend a lot of time trying to turn off TVs and ensure everything is switched off before I leave, which can leave me running late! 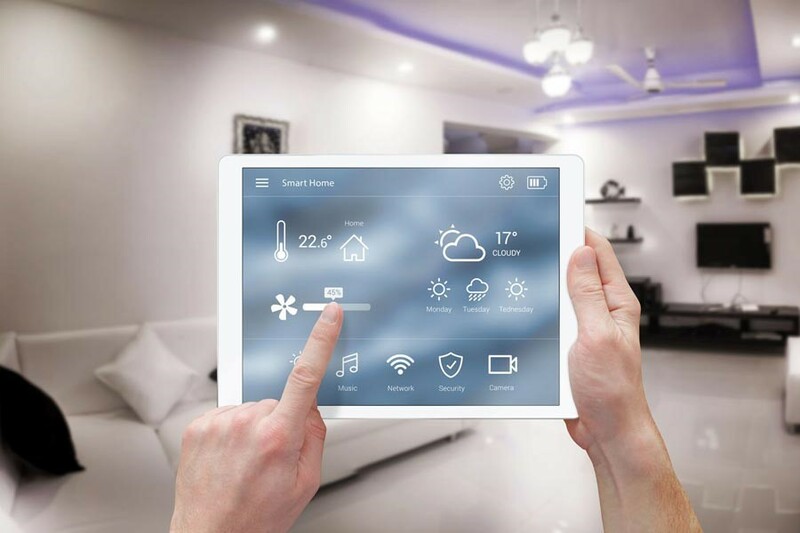 Sure, you will spend money to install the system, but you will quickly make this back from the money saved from reduced energy consumption as a result of using your home automation system.